Here’s a really easy recipe for a delicious cream cheese frosting. This frosting goes great with cakes with fruits or veggies in them, like carrot cake and banana bread. And it’s also the ‘PB’ to a red velvet cupcake’s ‘J’! The only thing you have to keep in mind is that the ingredients need to be chilled. Not frozen, chilled! 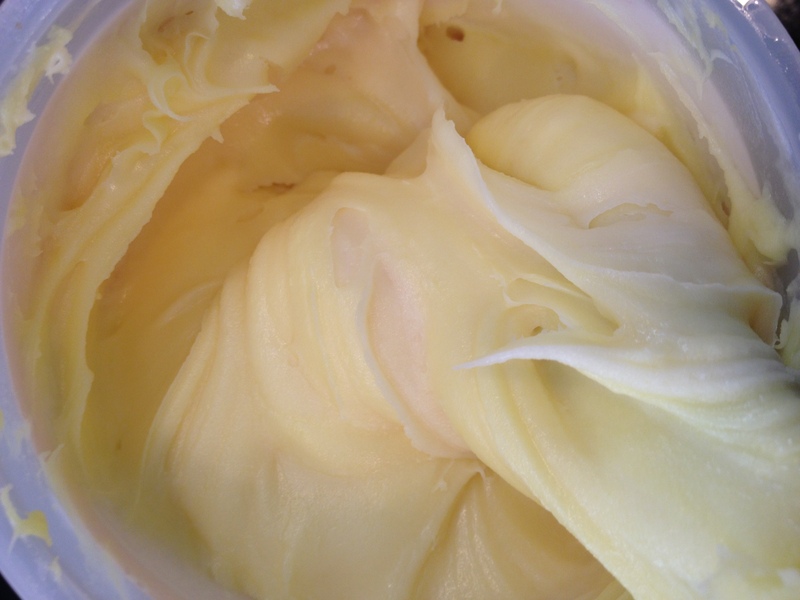 In a large bowl whisk(electric mixer or stand mixer) the butter and vanilla until it’s smooth. Then add the cream cheese and mix on low speed until everything’s mixed and there are no lumps. Then, with the electric mixer on low, add the icing sugar 1/2 cup at a time. You might not need to add all of it, so after adding 2 cups, taste the frosting. You might only need to add 2 cups. Add the cream and whip till incorporated. If the frosting seems too thick you can add a little more cream. taste and see if you like the level of sweetness. Add more sugar if needed. So there it is! It’s really easy, delicious, and it stays good in the fridge for up to 3-4 days in an airtight container!